The faces we see at Mountainside . . . and behind each face is a person’s story. The Father, Son, and Holy Spirit are always at work in the lives of people! At Mountainside, Zach & Jenny Hoffman help out almost every Sunday in some way, and every once-in-a-while they bring their cameras and share their photos with us. It’s been great to look at these photos from the past year and reflect on the stories behind each face. God is sooooooo at work! In one person, He’s been restoring joy by his Spirit, in another, He is convicting a heart to reflect the Good News in their life. Sweet friendships growing between young and old—and everyone in between! Then there are those young faces of children that are just absorbing the stories of Jesus, and hearing the songs and prayers of Christ-followers. One of our middle-school students who was baptized on December 16 (along with 3 others) said this in her testimony of why she was being baptized: “I’ve seen the lives of those who are not following Jesus, and I’ve seen the lives of those who are following Jesus; and I want to be like those who are following Jesus.” It’s definitely a testimony to this young lady’s family, but it is also a testimony of the community surrounding her. I agree. There are Christ-followers at Mountainside that I want to be like; I want to imitate them in certain areas of their lives. This is a group of people I admire and I’m growing to love better each day. 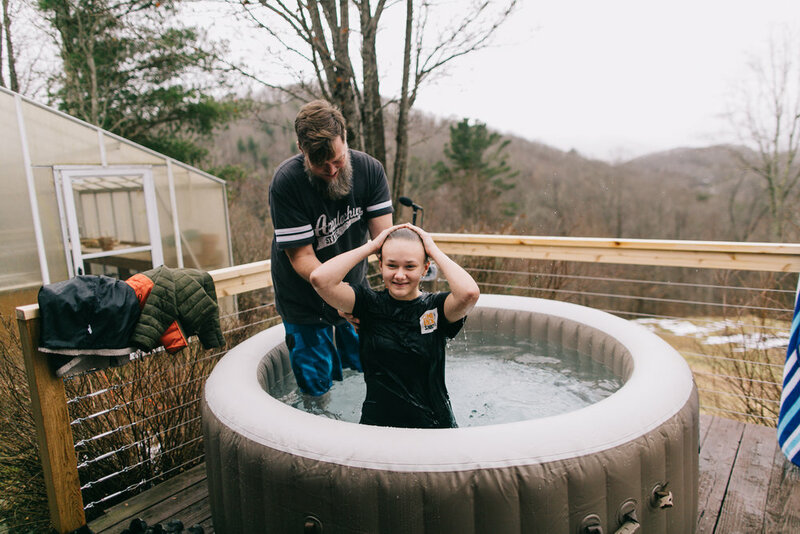 Cloey Hadley, a middle school student at Mountainside, after her dad, Preston, baptized her because of her faith in Jesus. There is something God wants to do with this group of people. I (Shannon) don’t have it all figured out exactly, but I keep receiving nudges as I see the people God is assembling in Mountainside. The first nudge for 2019, is not unusual or unique: it’s just that we pray more! Yeah, that seems like a safe direction, I mean, what area of our lives would we say, “Nah, I don’t need any prayer about that!” But it’s more than receiving prayer that could benefit our lives, it’s becoming excited about spending time with the Lord. It’s about a movement that becomes a “fast from the world” (decreasing) towards “feasting with God” (increasing). No promises about what could happen or might happen if we make opportunities to pray, just the guarantee it is GOOD in every way! We would appreciate your prayers for Mountainside as we approach 1 year of officially being in existence. In 2019 we will have to become self-sustaining, have more leaders developed, and a few disciples who want to make disciples will need to emerge. 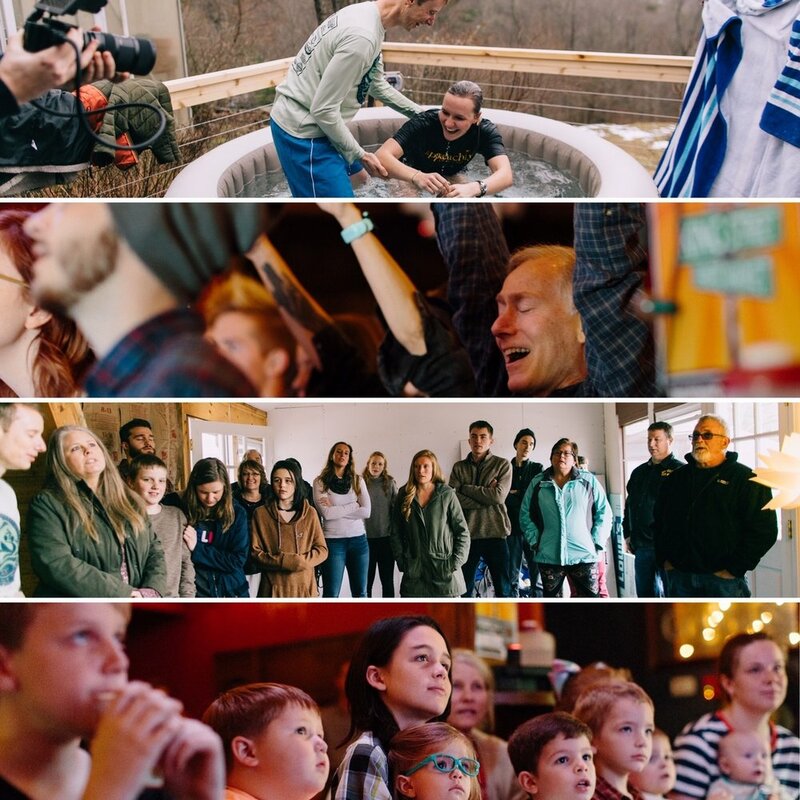 Pray for a vibrant faith to grow in the believers, and for the door of faith to be opened to those here in Boone who are still yet-to-become-believers. Join me as I pray for these things and a gospel renewal in Boone (where individuals center their will, thoughts, and emotions around what Jesus said and are changed).